In the past, unlocking a cellphone used to be a hazardous and risky undertaking that could void the warranty on your phone, but in recent years all that has changed. Nowadays you can have the phone of your choice and quickly acquire the necessary unlock code to unlock your phone and not void the warranty. Not surprisingly, in a counter measure to this, many of the key cellphone carriers now offer attractive ‘sim only’ deals to tempt you to stay with them. 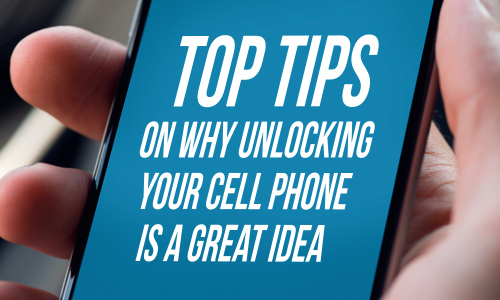 They definitely do not want to lose your business, but the chances are, no matter what they may offer, it’s quite possible you can find a better deal elsewhere; should you choose to unlock your phone. The cellphone business has moved on, and where in the past many manufacturers had locks on the phones that prevented you from switching your carrier (such as iPhones); these days, due to growing public demand not to be tied down to a particular carrier and locked into a contract, it is not only possible to unlock your cell phone, it’s actually incredibly simple. It can be achieved online in a matter of minutes through trusted online cellphone unlocking specialists such as UnlockBase. The days of high charges and long service contracts from the major service providers are over, and thankfully so! And while a monthly contract can still offer you good value for your money, with generous free call minutes and all you can eat data, contracts have had to change because in the last few years the way we use cellphones has changed dramatically too, and for once, things have not worked in the mighty carrier’s favor. Widely available free apps have altered the way we use our cellphones. Walk into any cellphone service provider today and they will be happy to offer you virtually unlimited texts, but in this era of free WhatsApp, Facebook, Twitter, Skype and other instant communications apps, frankly, who bothers to send text messages? Maybe your auntie. Service providers are still desperately keen to push you into a 24 month contract by offering you a seemingly free phone, but in reality you pay for the phone within the first year and then you are still locked into the contract. With a pay as you go plan you consume only what you need. You decide how many phone calls you make and how much data you use, and provided you have a WiFi broadband plan at home, you don’t need to rely on the data allowance the carrier decides to give you as part of your package. This not only saves you income on your monthly fees, it also enables you to decide on the phone you want, rather than having to limit yourself to what’s available as a locked phone from your contract provider. An unlocked phone may present a larger up front cost, as you have to purchase the phone sim free. With your contract plan the phone can be given to you, but as you know, there is no such thing as a free lunch. Those 24 months of contract billing will be landing on your doormat long after you have decided you want to upgrade. With an unlocked phone you are the master of your destiny, controlling your expenditure on your phone, and not being constantly surprised by mystery add-on charges that contract providers love to put on your bill, especially if you choose to go abroad. In fact, carriers want to keep you so badly that they are even willing to sacrifice their biggest cash cow, the exorbitant cost of overseas calls. A lot of carriers now offer free calls in many overseas destinations. A few years ago, this would have been unheard of. Another reason to opt for a pay as you go plan is the fact that certain suppliers offer you a locked phone but limit you to certain apps in the iTunes store. Why? Because they don’t want you to use free communications devices! But if you have an unlocked phone, you can obtain any app, from any site, or download any free app from anywhere on the web. Your sim free, pay as you go phone also enables you to easily swap sim cards to whatever your heart desires. You can try out several new ‘value you’re your money’ sim card offerings such as Lycamobile and Lebara and quickly discover that they offer far cheaper overseas call rates, competitive local call rates, and even free calls to overseas if calling from one Lycamobile number to another. You can also opt for dual, tri, or quad band networks wherever you decide to travel. Simply switch your sim card to a local provider and you avoid high-priced roaming charges. Freedom of mobility, freedom of choice, freedom to use your phone the way you wish. These are they key advantages of pay as you go. And finally, if privacy and anonymity is important to you, a pay as you go phone is the smart option. Unless you register the sim card, the supplier doesn’t know who you are or what calls you are making. With a contract plan, everything you do, every number you dial, every site you visit is traceable.